In Mercer County, Capt. 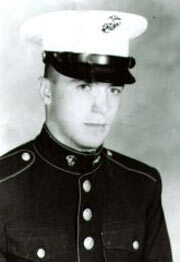 Maurice Garrett Jr. is one of the most recognizable names among those on the Vietnam War Memorial. That’s largely because of the long-standing uncertainty as to whether or not it should be there. The doubts started from the time of the initial investigation of his helicopter crash on October 22, 1971. Capt. Garrett was flying an AH1G Cobra on an armed visual reconnaissance mission out of Quang Tri, along with three other helicopters. The weather was “marginal,” so Capt. Garrett ordered the other copters to hold while he flew into a valley to check it out. Five minutes later, he reported that he had zero visibility and would return to Quang Tri on instruments. He never made it. His helicopter apparently crashed after hitting some trees. The aircraft exploded with such force that few identifiable parts of the aircraft remained. A search of the area found the remains of his co-pilot, but none of Capt. Garrett. That left investigators with two possible conclusions. Because of violence of the explosion, they concluded that Capt. Garrett couldn’t possibly have survived the inferno, and that his body had been completely destroyed in the fire. However, there remained the slight possibility that Capt. Garrett had somehow survived because something should have survived, such as helmet, watch, dentures, boot eyelets, and dog tabs. But none of those were found. This second possibility was reinforced in 1984 when the Garrett family was told by a private source that Capt. Garrett was alive. Seven other families received similar word. Although the U.S. government said the information was false, it renewed the hope that Capt. Garrett was still alive, possibly a prisoner of war – a hope shared by his family, friends, and MIA groups. Back in the U.S., he learned to fly the Cobra, then returned to Vietnam in December, 1970. 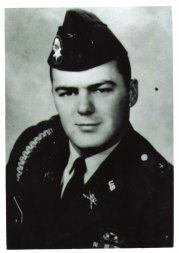 Before his helicopter crashed, he had received a second Silver Star, a National Defense Medal, two Bronze Stars with valor device, three Purple Hearts, the Combat Infantryman Badge, and several Vietnamese medals. Capt Garrett is the son of Mr. and Mrs. Maurice E. Garrett, Lackawannock Township. 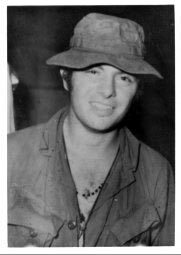 Pvt Richard Joseph Drivere arrived in Vietnam on August 20, 1968. Assigned to B Company, 1st Battalion, 3rd Marines, he entered into a very hot combat zone in Quang Tri Province, just south of the so-called Demilitarized Zone. When he arrived, the 1st Battalion, 3rd Marines were in a serious confrontation with a North Vietnamese regiment around hilly terrain with names like Mutters Ridge, Razorback, and Hill 471. But maybe it wasn’t so hot; but for sure it was very wet. Mother Nature attacked in early September with a super-typhoon names Agnes. Out over the South China Sea, it had produced winds clocked at 175 miles per hour. By the time it hit the Quang Tri area, those had diminished, but remained strong enough to slam the rain horizontally with such intensity that visibility was near zero. It kept troops on the hilltops from being resupplied for as many as five days. One Marine wrote home that he and his fellow Marines had run out of C-rations, and were making soup out of water, ketchup, and a little onion. They tried to keep their stomachs warm with hot Kool-Aid. In spite of that, the battle continued whenever it was possible. The 3rd Battalion, 3rd Marines ran into a North Vietnamese regiment north of the Razorback, and the 1st and 2nd Battalions were rushed into position to block the NVA’s escape routes. The 2nd Battalion came upon a regimental supply area and captured 10,000 mortar rounds, 13,000 hand grenades, and hundreds of rockets. Some time in all this action, Pvt Drivere was killed by enemy small arms fire. The 1965 grad of Wilmington Area High School was the son of Joseph and Helen Drivere. He had a sister, Margaret, and a brother, David.